Here's an update on what I've been able to dig up about the current situation of the Tour de France Lanternes Rouges of recent years. If you have any additional current information on any of these, please leave it in the comments! 2006 Prologue Lanterne Rouge Ruben Lobato Elvira will be in the 2007 Tour de France riding for Saunier Duval-Prodir. 2006 Stage 1 Lanterne Rouge Danilo Di Luca won the 2007 Giro d'Italia for Team Liquigas, and then announced that he would not be riding Le Tour, but soon after came under suspicion of doping. His case is still awaiting a resolution. 2006 Stage 2 Lanterne Rouge Aitor Hernandez Gutierrez was not named for the 2007 Tour de France roster for his team, Euskaltel-Euskadi. 2006 Stage 3 Lanterne Rouge Filippo Pozzato is on the Liquigas Team (which has not named their Tour roster yet) and will compete in the Italian national road race championship on July 1st, 2007. 2006 Stage 4 Lanterne Rouge Magnus Backstedt is on the Liquigas Team (which has not named their Tour roster yet) and will compete in the Swedish national road race championship on July 1st, 2007. 2006 Lanterne Rouge of 9 Stages, Sébastien Joly, is a member of the Française des Jeux team which has not yet announced its 2007 Tour de France rider roster. In his earlier years he rode with Bonjour alongside fellow Lanternes Rouges of 1998, Damien Nazon, and 2000, Olivier Parraudeau. 2006 overall Lanterne Rouge Wim Vansevenant is a member of the Predictor-Lotto team which has not yet announced its 2007 Tour de France rider roster. 2005 Stages 1-3 Lanterne Rouge Leonardo Piepoli, mountain climber for Saunier Duval-Prodir, won the mountain climber competition at the 2007 Giro d'Italia, but is under investigation for excessive levels of asthma medication during the Giro, and is not on their 2007 Tour de France roster. 2005 Stages 5 and 7 Lanterne Rouge Janeck Tombak, an Estonian now riding for the second-tier Jartazi Promo Fashion team, not a Team in the 2007 Tour. He recently won the 4th stage in the Tour of Picardie. 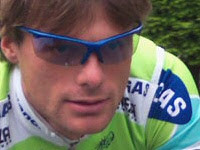 2005 Stage 6 Lanterne Rouge Steve Zampieri was a member of the now-disbanded Phonak cycling team. He now rides for Cofidis but was not named for their 2007 Tour de France team. 2005 overall Lanterne Rouge Iker Flores (brother of 2002 Lanterne Rouge Igor Flores) is now riding for Fuerteventura (a new pro-continental team, formerly Comunidad Valenciana-Kelme) and is "one of the favourites to win the Euskal Bizikleta which kicks off on June 8th in the Basque country of Spain." Two-time Lanterne Rouge (2001 and 2004) Jimmy Casper now is a member of the Unibet.com cycling team, which as a gambling concern has been barred from racing (and thereby advertising their product) on French soil. 2003 overall Lanterne Rouge Hans de Clerq rode for Lotto-Domo, which has turned into the Predictor-Lotto team. According to the Dutch Wikipedia, "Hans De Clercq is since 2006 also competition leader of the Per Tour-competition Ghent-Wevelgem and since 2007 team leader of the cyclo-cross race team Sunweb-ProJob". 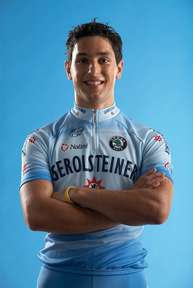 2002 overall Lanterne Rouge Igor Flores rode for Euskaltel-Euskadi and currently rides as a guide for Grupetto Tours. 2000 overall Lanterne Rouge Olivier Perraudeau rode for Bonjour in 2002 along with 1998 Lanterne Rouge Damien Nazon and subsequent 2006 stage Lanterne Rouge Sébastien Joly. I haven't found more recent news. 1999 overall Lanterne Rouge Jacky Durand worked for Eurosport in 2006. 1998 overall Lanterne Rouge Damien Nazon also rode for Bonjour in 2002 with subsequent Lanterne Rouge Olivier Parraudeau of 2000 and 2006 stage Lanterne Rouge Sébastien Joly. Until 2005 he rode for Credit Agricole. The 2007 Tour de France begins one week from tomorrow in London! The Prologue will be a fairly flat 7-9 km open loop starting in St. James Park, looping through Hyde Park, running nearly past Buckingham Palace and Westminister Abbey, and ending at Whitehall. Be ready! Many of the teams have yet to have their final rider selections named, because of late-breaking developments concerning the anti-doping Pledge the riders have been required to sign. The only thing that's certain is that this promises to be another extremely interesting, combative Tour! The ultimate winning rider as well as the Lanterne Rouge will probably not be decided until the penultimate day during a 55.5-km individual time trial in Stage 19 from Cognac to Angoulême. We're looking forward to an exciting month of July with plenty of Tour news every day! Former Lanterne Rouge Leonardo Piepoli of Saunier Duval-Prodir is being investigated for use of salbutamol, an asthma drug, during the Giro d'Italia. The report is a bit confused at present - it seems he and Alessandro Petacchi of Team Milram, the other rider under investigation, have therapeutic use exemptions for pre-established medical conditions, but may have exceeded the dosage limits. The story also says that "The International Cycling Union (UCI) sent the non negative test to a clinic in Barcelona but that clinic said it didn't have the competence to provide a conclusion," which seems to be a very common problem in their drug-testing program. Update: TDFBlog has more information on the investigation and issues concerning salbutamol for cyclists here. The rampant doping allegations and damning innuendoes (apparently publicized prior to B sample analysis) affect Lanternes Rouges as well as Giro winners. According to Cycling News, 2006 Tour de France Stage 1 Lanterne Rouge Danilo Di Luca (Liquigas), Eddy Mazzoleni (Astana), Gilberto Simoni and Riccardo Riccò (both Saunier Duval - Prodir) are being scrutinized by the Italian Olympic Committee (CONI) for what are being called 'abnormally low' hormone levels. What has become of Wim Vansevenant, the 2006 Tour de France Lanterne Rouge? He rode for his team Predictor-Lotto in Milan-San Remo and Paris-Roubaix, among other races this spring, and finished the Tour de Picardie on May 20th in 52nd place out of 64 total finishers. He is scheduled to start the Tour de France on July 7 in London in support of his teammates from the Predictor-Lotto team, Cadel Evans and Robbie McEwen. And he's also been working on his bed-head style, I see. The Gerolsteiner website says of the Lanterne Rouge of the Giro, Oscar Gatto, "The Italian from Montebelluna (Treviso) has notched up more than 40 wins as a junior and amateur in recent years, and was keenly sought after by several ProTour teams." Gatto beat 56 fellow starters of the 2007 Giro to the finish line by completing the grueling event. Gatto must be a great sprinter - he crossed the line in 8th place for the 21st and final stage of the Giro, however! Many thanks to professional graphic artist and my great friend Holly for loaning her immense talents to the Lanternes Rouges and producing our gorgeous new header graphic! Fabulous!! I just have to figure out how to properly center it. Although I'm terribly envious that she will be going to London this July to view the start of Le Tour first-hand. . . .
Lanterne Rouge of Stage 1 of the 2006 Tour de France, Danilo Di Luca of Liquigas, has launched himself into the ranks of cycling superstars with a breakthrough performance in the 2007 Giro d'Italia. His strong 8th-place ride in the stage 20 42-km Individual Time Trial virtually assures him of the big win and the top step in the final podium! Here's the story of his ride to victory from Cycling News. Unfortunately Di Luca will not be riding in the Tour de France, so we won't have an opportunity to see him again as the Lanterne Rouge in 2007. Another former Lanterne Rouge, Leonardo Piepoli of Saunier Duval, also had a great ride in the Giro and won the mountains classification! There was some speculation that if he hadn't also been riding in support of his team leaders, he would have been a strong contender for the overall prize too.